Megan désire plus que tout retourner à son ancienne école, mais il faudra trouver un anti-virus avant que cela ne soit possible. Comment survivra-t-elle? If Megan thought life at her new boarding school was going to be easy, she was dead wrong. All the students have the same mysterious virus — one that's slowly turning them all into zombies. 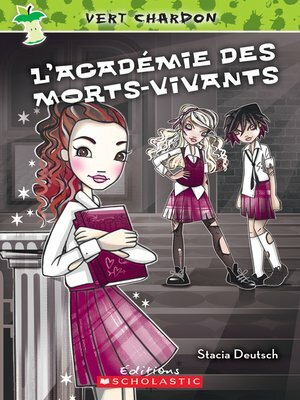 The teachers at l'Académie des morts-vivants are lifeless and the food stinks. Literally. And worst of all, the clique of popular mean girls who rule the school have already decided that Megan's dead to them. Original title: Rotten Apple: Mean Ghouls.